This is an infrared photo of four members of the NIRC2 instrument team taken through the 10 meter Keck Telescope. We believe we're the first humans ever imaged with a 10 meter telescope. If you look closely in the middle of the image, you can see retroreflections back into the telescope, the AO system and even into the very cold camera dewar. Anna Boehle is working to develop a new detector system to upgrade the OSIRIS spectrograph and conducting a resolved spectropic survey of LINER nuclei. Jeffrey Chilcote (2015) is a core member of the GPI team and now the Dunlap Postdoctoral Fellow at the University of Toronto. Shelley Wright (2008) - Assistant Professor of Physics and the University of California, Sand Diego. Former Hubble Fellow at UC Berkeley. Michael McElwain (2008) - JWST Observatory Deputy Project Scientist; Research Astronomer at NASA's Goddard Space Flight Center. Formerly Norris Russel Fellow at Princeton and NSF Fellow at Princeton. 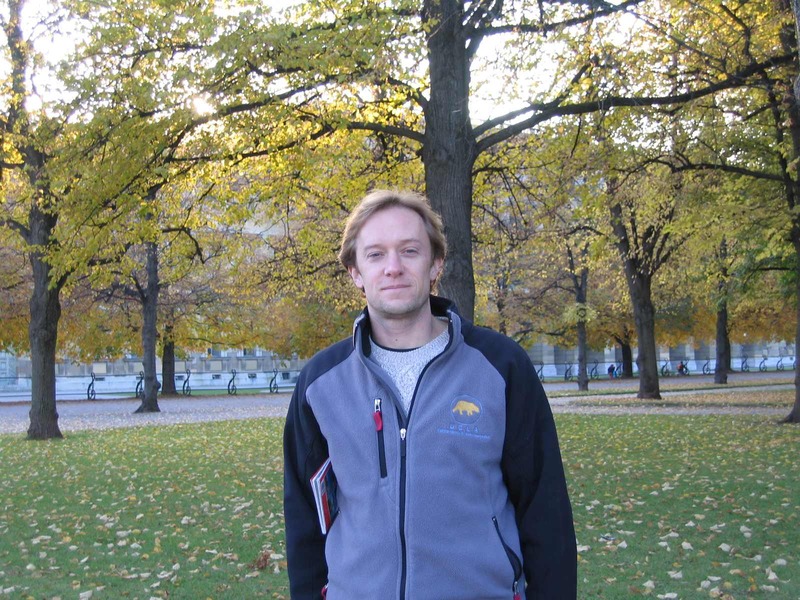 Matthew Barczys (2007) - Laser System Scientist in the Laboratory for Laser Energetics at the University of Rochester. Formerly Staff Scientist at Johnson Space Flight Center, Houston. Joseph Rhee (2004) - Lecturer in Physics at Cal Poly Pomona. Former Postdoc at the Gemini North Observatory. Tiffany Glassman (2002) - Systems Engineer at Northrup Grumman. Former Postdoc at the Infrared Processing and Analysis Center. Vice Chair for the Division of Astronomy and Astrophysics. Professor within the UCLA Infrared Lab . Principle Investigator for the IRIS project, an Integral Field Spectrograph for the Thirty Meter Telescope (TMT) . Co-Investigator for the Gemini Planet Imager (GPI) for the Gemini International Telescopes. !!!!! WE'VE HAD FIRST LIGHT !!!!! Principle Investigator for the OSIRIS integral field spectrograph. Co-Investigator on the NIRC2 infrared camera for the Keck Adaptive Optics System. Principle Investigator for the SHARC infrared camera also for the Keck AO system. Co-leader of a spectroscopic survey of galaxies in the early universe to measure rotation curves and metallicity gradients and search for weak active galactic nuclei. This is all done at the diffraction limit of the Keck Adaptive Optics System. Published Research including conference proceedings. Professor at the University of California, Los Angeles. I work as an astrophysicist in the Physics and Astronomy Department concentrating on extragalactic astrophyics, adaptive optics (AO) and infrared instrumentation. My students and I have often developed cutting edge systems to make first-of-their-kind observations.We were the first to observe cosmologically distant field galaxies with a Shack-Hartmann AO system in order to directly observe galaxy evolution (proposed in 1999: Larkin and Glassman 1999 , and first results: Larkin et al. 2000 ) and the first to apply speckle suppression techniques to look for planets around other stars (GQ Lup b in 2006: McElwain et al. 2007 ). And the instruments we've built in the lab have allowed other scientists to make an impressive set of "first" measurements like the first precipitation on another world (Methane rain on Titan: Adamkovics et al. 2007 ), and the first spectrum of a directly imaged exoplanet (HR8799b: Bowler et al. 2010 ). We've recently completed the spectrograph for the Gemini Planet Imager and participated in the first light commissioning activities. The science campaign to discover Jovian planets around young stars begins in mid-2014. An ever increasing fraction of my time is going into the development of the Integral Field Spectrograph (IRIS) for the Thirty Meter Telescope (TMT). The IRIS instrument will work at the unprecedented diffraction limit of TMT and enable a wide variety of scientific observations. Go here for some crash photos demonstrating why astronomy can be a dangerous business. McCormick Postdoctoral Fellow at the University of Chicago from Oct. 1995-Sept. 1997 working with the Chicago Adaptive Optics Group (ChAOS). The group has designed and built an AO system for the ARC 3.5m telescope at Apache Point, New Mexico. My primary effort went into the design and construction of an infrared camera for taking pictures with the AO system. Old Instrument Photos. Ph.D. in Physics from Caltech awarded June, 1996 (defended Oct. 1995). 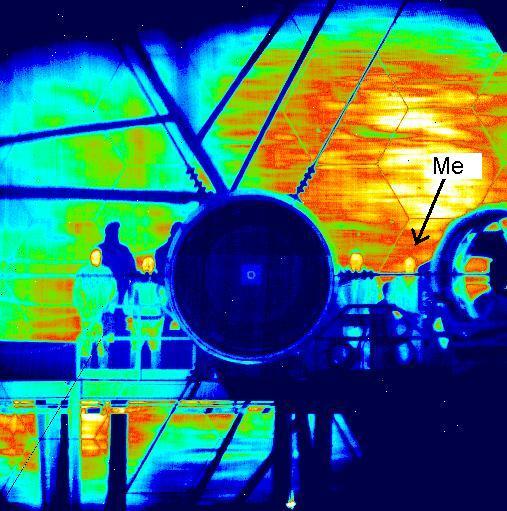 My advisor was Prof. Tom Soifer (see the InfraRed Army's home page) and my thesis involved building a near-infrared spectrograph with Robert Knop and using it to study active galaxies (specifically LINERs) at the Palomar 200inch telescope. I was also involved in near infrared imaging at the W.M. Keck telescope at Mauna Kea Hawaii including deep infrared galaxy counts and the study of gravitational lens systems. Masters in Physics from Caltech in June, 1992. B.S. in Physics and Mathematics from the California State University at Hayward in June, 1990.